Just last Saturday Leighton learned to crawl. By Sunday he was hustling across the floor to get Molly’s markers, thoroughly upsetting her. 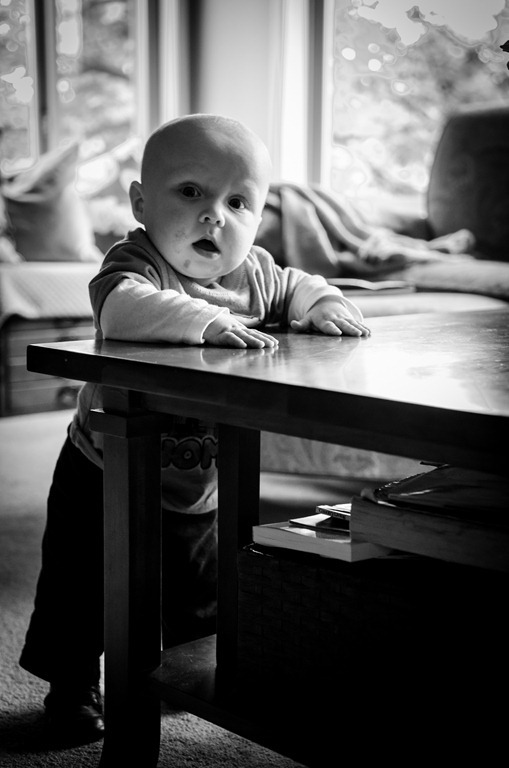 After only five days, today he figured out how to pull himself up to standing at the coffee table. He is motivated to get to things. Anything. And he is MAD if he can’t get it. We are in trouble much earlier than expected.